Like any Bethesda game at launch, Fallout 4 has its fair share of bugs and glitches. While some of them can be even quite funny, others manage to completely crash your game without any error code. It appears that there’s a bug that crashes the game when a player progresses in the game’s story. 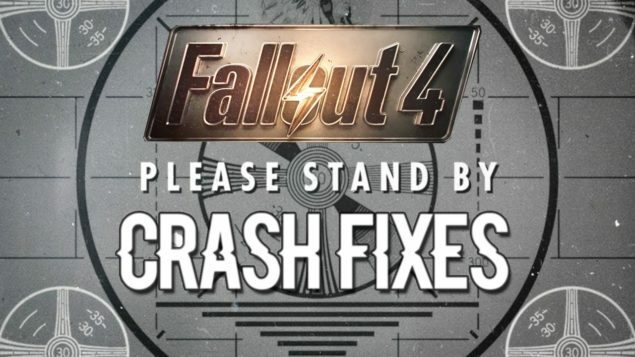 Crashing applies to the PC, PS4, and Xbox One version of the game, and affects various locations. According to a Reddit post, the crashing is due to the game’s save file becoming corrupt, and the only way to fix the crash is by going back to a previous save point, and pray that save point is isn’t corrupted. On the Bethesda forums, user JoeBBBB adds the following. Don’t start a new game! Heard many people do this to have it come back and returning to an earlier save might make the bug come back too as it could be related to location or something else. Just gotta hope for a patch. Some people have even upgraded their OS to have the crash return. The crash seems happen because the area changes, there is a console command that resets the area (I don’t reccomend using it tho as it could change the game) and a quest that changes the area that stops the crash. This means that a patch should hopefully stop the problem. It is fairly Game-Breaking as many main story quests go through this area making the game impossible to complete if you have the bug and don’t use console commands. Since the appearance of the bug, users have been posting workarounds for the PC version of the game. Please note, that not every quest has its own workaround yet. We have listed the current available workarounds below. If you’re having a problem with this Shadow of Steel quest where you crash on the Vertibird then the videos below may help. The Workaround simply skips the Vertibird ride. 4.) when you see the door to leave for Cambridge, use coc sanctuaryExt to leave. Going through the door will cause you to crash again. Kidnapping from Greentop Nursery (PC) <—– This is a timed quest btw!! This quest is outside so I can’t spawn you near the person unfortunately but like the rest of the Silver Shroud quests, you just have to kill somebody so we’ll use the console to do it. You can also shoot at him to agro him towards you, allowing you to kill him. in Morsignor area so it’ll crash. You can use the method below to skip getting the item and hand in the quest. then use the code below to be able to turn in the quest. context to create a Step By Step but if you’re having the crash then you probably know when to use it. Most of Boston after Dark’s quests are outside so we can’t move you to the location unfortunately. I recommend saving before this one, I haven’t been able to test it as I’m not that far – sorry. The only Workaround I’ve heard of is completeing the quest at a certain point (heard a lot of objectives in the area). The quest giver may not return to his old position though so you can spawn him to you by doing to activate the next quest. crash area meaning you should be able to go around to get to the location, Please correct me if I’m wrong. This quest is more tricky to pass but somebody managed to give very detailed intructions. Lots of credit to Northfield. This seemed like an annoying quest to make a Workaround for. For upcoming workarounds, I suggest checking the forum thread at the Bethesda forums. Hopefully Bethesda releases a patch that fixes these Fallout 4 crashes.